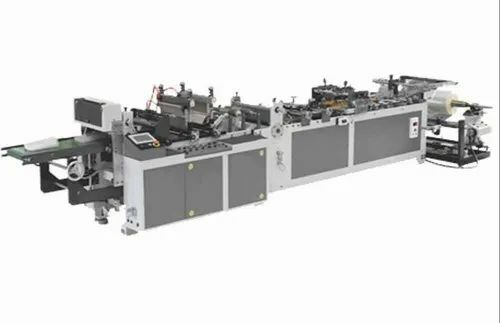 This Machine converts a lay flat sheet of Laminated film of PET-PE, BOPP-PE, BOPP into Center seal or Lap seal pouches with various attachments. This Combined Pouch Making Plant converts a lay flat sheet of Laminated film of PET-PE, BOPP-PE into three side sealed pouches as well as Center seal , Lap seal pouches with various attachments. It’s a high-speed pouch machine with a maximum speed of 160 cycles / min. DESCRIPTION of Center Seal Pouch Making Machine in India This Machine converts a lay flat sheet of Laminated film of PET-PE, BOPP-PE, BOPP into Center seal or Lap seal pouches with various attachments. This Multi-purpose pouch Machine converts a lay flat sheet of Laminated film of PET-PE, BOPP-PE into three side sealed pouches as well as Center seal , Lap seal pouches with various attachments. It’s a high-speed pouch machine with a maximum speed of 160 cycles / min. This is a new High speed Center seal pouch machine model Launched at the K-2016 exhibition. It converts a lay flat sheet of laminated film like Pet-PE , BOPP-PE and unlamented BOPP film into center seal fin pouches as well as Lap sealed pouches. It can achieve a high speed of 230 pouches per minute. Unwind Stand with Air shaft and magnetic particle brake. > Unwind Stand with Air shaft and magnetic particle brake. This machine is used to make Stand up and Zipper pouches from a combination of films like PE-PET/PE, PET/ALU/PE-PA/PE-PP etc. We can also make 3 side seal and 5 side seal pouches on this machine. 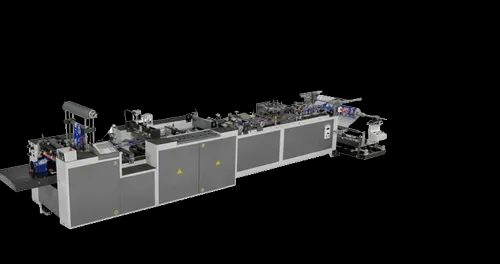 This Machine converts a lay flat sheet of Laminated film of PET-PE , BOPP-PE into three side sealed pouches with various attachments. It’s a high-speed pouch machine with a maximum speed of 160 cycles / min. 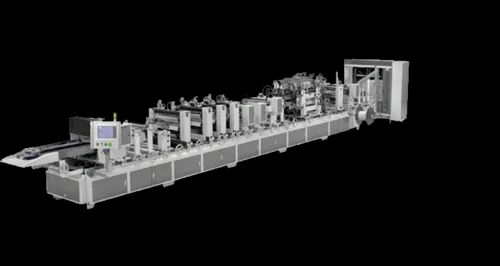 Looking for “Pouch Making Machine”?